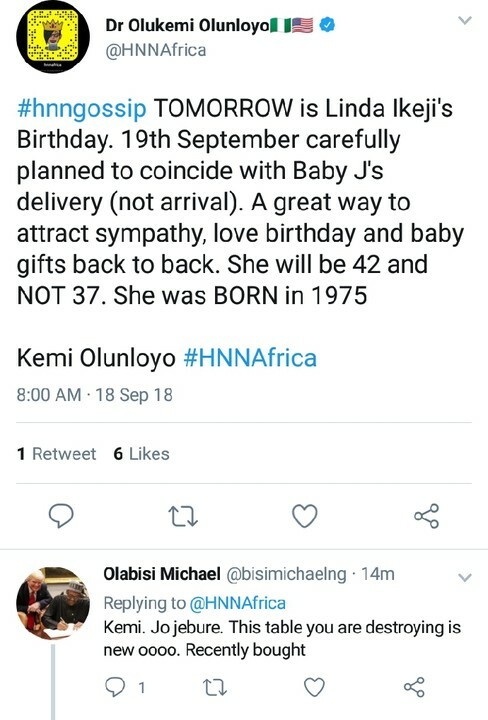 Controversy keeps trailing the announcement of the arrival of J. Ikeji as popular international blogger kemi Olunloyo insist she was never pregnant. 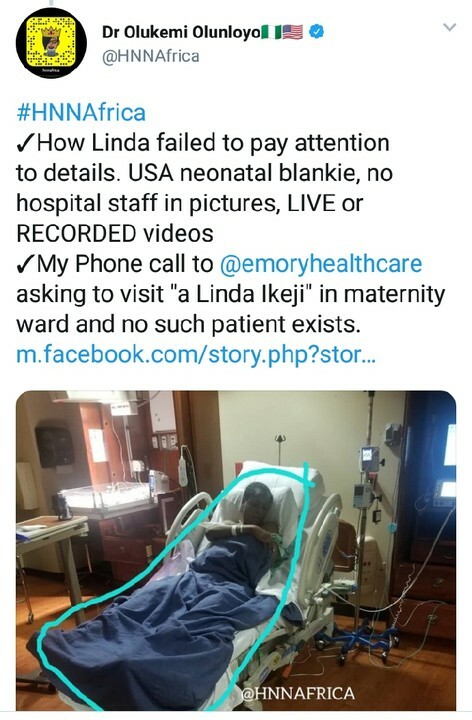 kemi revealed that she put a call through to the hospital but no record of patient with the name "Ikeji was found". 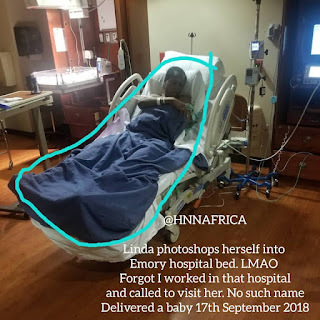 she further claimed on her verified twitter account that the viral delivery Photo was shopped. 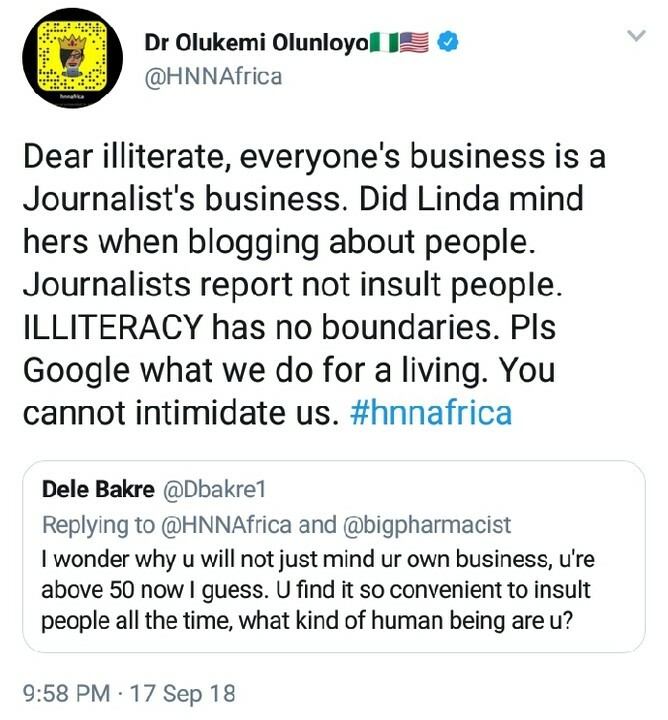 Efforts to get reaction from Linda Ikeji's camp has not been successful by the time of filing this report. 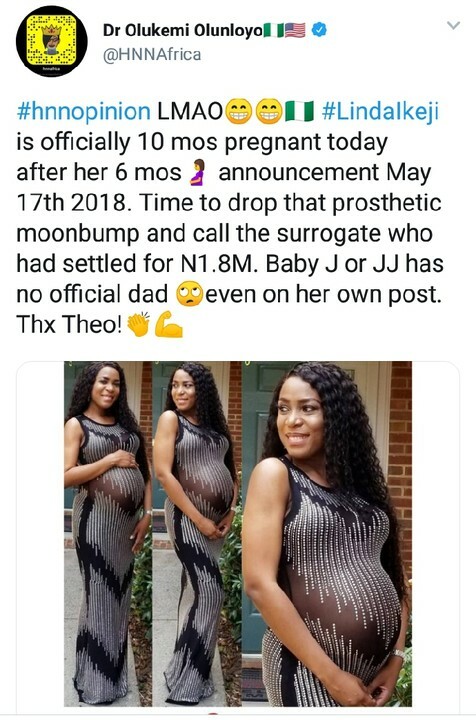 See what she posted below..